Scanners can be used for macro photography, at least the ones with a great depth of focus. The scanners with CCD sensors tend to have a good depth of focus while the thin scanners with a CIS sensor can only focus on objects a mm or two from the glass. I collected a list of scanners recommended for macro photography. Terminal colors are broken out of the box in OS X terminals. In part due to a poor OS X terminal implementation, part due to problems with vim. I try new colorschemes and get strange, random looking results. After many fruitless searches I finally got 256 colors working in vim in a terminal. This post and the GVim site were very helpful. 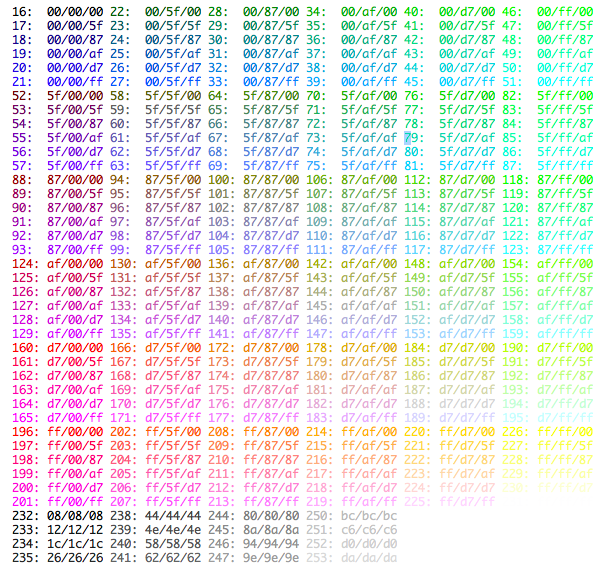 It turns out that the included Terminal app in OS X only supports 16 colors. The terminal background can be set to any color which confuses the issue. The colortest Perl script available on the Gvim site makes this clear. The free GNU licensed iTerm terminal does support 256 colors. and now vim has gui support. ” Doesn’t get set right. and now when I load colorschemes they look pretty close to what the Vim colorscheme test site shows, with the only difference due to font differences. and “source /etc/profile” to enable it. 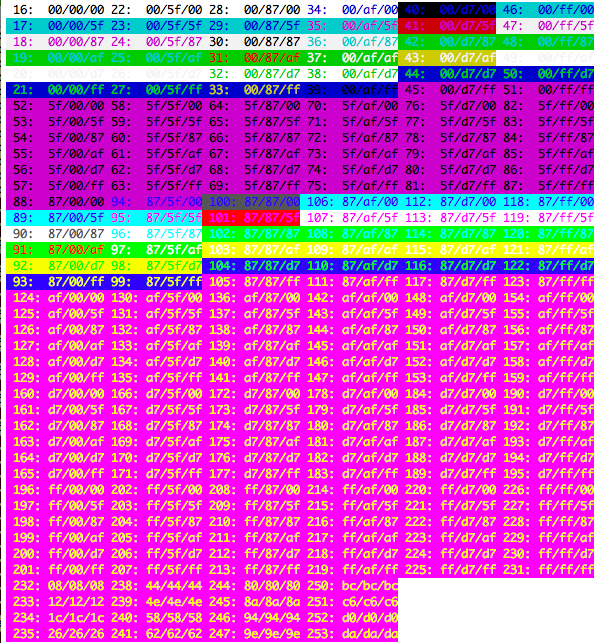 to /etc/vimrc to force 256-color mode and pick a colorscheme. I also copied the CSApprox files to /usr/share/vim/vim70 and now it works when I ssh to this machine as well! I ran across the independently produced game World of Goo. Fun game, the stylish graphics caught my eye. Never found the a straightforward answer to my question though. Reading the ‘how we made it’ articles on their site, it looks like World of Goo was made using the open source PopCap framework. PopCap includes two physics engines, the 2D Chipmonk Physics library and the 3D ODE physics library!